Almost everyone loves to shop. Shopping allows us to take the money we’ve worked to earn and use it to make ourselves happy or even improve our lives, and it can actually be quite relaxing and even therapeutic to spend a few hours or a full day in a mall or shopping location, searching for new clothes, accessories, home products, tools, sporting goods, and many other items. Those good feelings will be enhanced even further if you happen to find some super low prices, and outlet malls tend to offer the very best deals of all. Outlet stores and malls work by providing a direct link between the manufacturer and the customer. 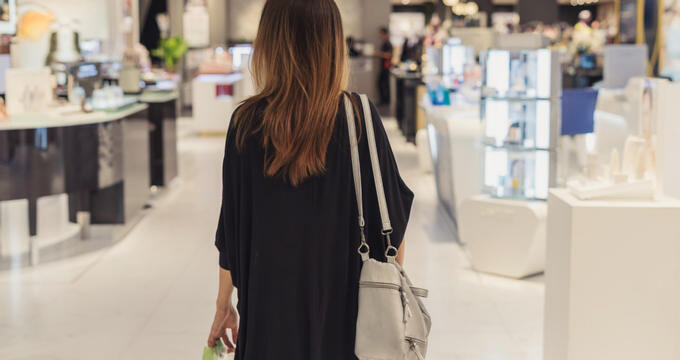 Traditional retail stores buy products from brands at relatively low prices and then boost those prices up to sell the items on to the customers, but outlet malls function in a much simpler and more cost-effective way for the general public. They allow you to get the manufacturer prices, which are usually way cheaper than the sort of fees you’d have to pay at retail. Outlet malls can be found all around the United States, in states like Oregon and elsewhere. These malls are often filled with dozens or even up to 200 individual stores and brands from the United States and abroad. Each store offers mega savings and unmissable deals, especially at certain times of year like Black Friday or Christmas. So if you want to get the best prices on all the goods you love, outlet malls are the best option to choose. Situated in the Pacific Northwest, Oregon is known for a lot of things but is rarely regarded as one of the United States' key shopping locations. That might be a mistake, as the state is actually home to some of the finest outlet malls and factory stores in the entire nation. If you live or plan on visiting Oregon soon, you need to check out at least one of the outlet locations listed below. You'll be able to find some awesome products at never-before-seen prices. One of the oldest outlet shopping locations in the whole state of Oregon, Woodburn Premium Outlets is conveniently situated in the town of Woodburn and opened up way back in 1999. With more than 350,000 square feet of retail space, this outlet mall features more than 110 individual stores and attracts several million visitors per year, making it one of the top tourist spots in all of Wisconsin. Some of the best brands you can find at this location include Banana Republic, Nike, The North Face, Adidas, Gap, and Fossil, with discounts of anywhere from 25 to 65% in every single store. A huge shopping complex with a lot to offer, Columbia Gorge Outlet scan be found in Troutdale, Oregon and is another awesome Oregon shopping hotspot. If you're looking to shop with the best American and international brands tax-free, this is the place to be. Columbia Gorge Outlets is open seven days a week and features major global names like Gap, Tommy Hilfiger, Adidas, Book Warehouse, Samsonite, and Osh Kosh, among many more. If you want to shop with top quality local and national brands and get the lowest prices in the state of Oregon, Bend Factory Outlet Stores is a must-visit location. You can spend anywhere from just a couple of hours to a full day shopping at this super location. It's not as big as other major outlet malls, with just a couple of dozen stores in total, but there's still a lot of retail space to explore here and many great sales to find. Coupons can also be found on the official Bend Factory Outlet Stores website for brands like Carter's, Eddie Bauer, Pendleton, Nike, Columbia, and Rack Room Shoes. Situated in Lincoln City, Oregon, Lincoln City Outlets is one of the largest outlet mall locations in the state. Over fifty different outlet stores can be found here, including globally recognizable brands like Coach, Old Navy, Levi's, Gap, Nike, and Under Armour. Various sportswear and specialist stores can also be found here, so there's something for everyone at Lincoln City Outlets and every shopper is guaranteed to enjoy the lowest price and hottest deals in all of Oregon.